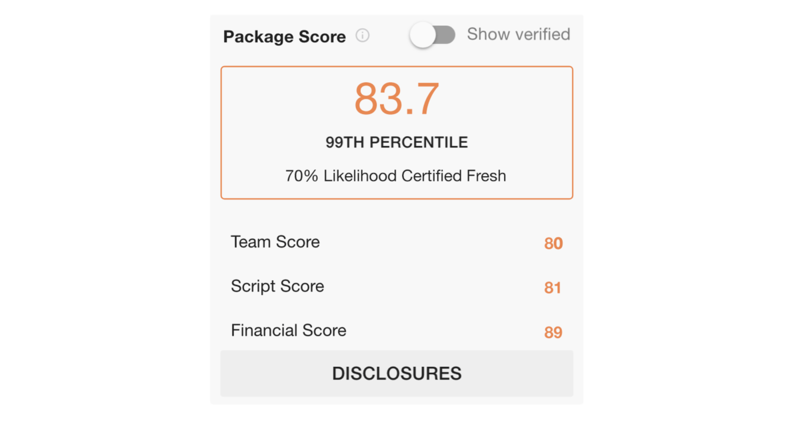 What are Package, Team, Script, and Financial scores? Team Score - is based on the individual scores of each person attached to your project and is a representation of the team's overall work experience based on a blend of box office revenue, profitability and critical acclaim. Financial Score - is calculated based on your project’s costs and revenue projections and indicates your project’s financial prospects. To learn more, watch the videos below.